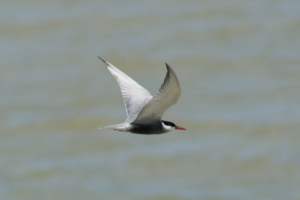 Observation - Which Tern? - Global. Description: Assumed this was a Common Tern at the time however on further study I don't see any black on bill which may suggest Arctic Tern. Having said that inland Spain (Cadiz area) may be outside normal range. As always comments greatly appreciated. Assumed this was a Common Tern at the time however on further study I don't see any black on bill which may suggest Arctic Tern. Having said that inland Spain (Cadiz area) may be outside normal range. As always comments greatly appreciated.